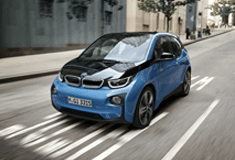 Showing that electrification is one of the central pillars of the BMW Group’s corporate strategy, the manufacturer has announced that all brands and model series can be electrified, with a full-electric or plug-in hybrid drivetrain being offered in addition to the combustion engine option. Additional electrified models will be brought to market in the coming years and beyond 2020, with the company’s next generation vehicle architecture will be structured in order to enable new models also to be offered as a full-electric vehicle. By 2025, the BMW Group expects electrified vehicles to account for between 15-25% of their sales. However, factors such as regulation, incentives and charging infrastructure will play a major role in determining the scale of electrification from market to market. The new, fully-electric MINI is one of a series of electrified models to be launched by the BMW and MINI brands in the coming years. In 2018, the BMW i8 Roadster will become the newest member of the BMWi family. The all-electric BMW X3 has been announced for 2020, and the BMW iNEXT is due in 2021. Today, the BMW Group offers the widest range of electrified vehicles of any car manufacturer in the world, with nine models already on the market. These range from the full-electric BMW i3 to the company’s newest electrified model, the MINI Countryman Plug-in Hybrid. Henry looks after all the social media output at Money4yourMotors and with all our different channels he is certainly kept busy, but with his passion and expertise for digital marketing it is a role he thoroughly enjoys.